On Wednesday 23 July, Wales' biggest team will gather at Glasgow for the 2014 Commonwealth Games, and with increased numbers comes increased expectation. Wales came home from the 2010 Games in Delhi with 19 medals, the same number as four years previously in Melbourne. This time, with a team of 300 expected to travel to Glasgow, the target is for more than 20. The first day of competition on Thursday, 24 July, could give Team Wales a flying start towards that target - in the Women's Triathlon and on the cycling track. Wales' team in the triathlon could include three world champions. Non Stanford, who won the World Series in 2013, is expected to team up with two former champions, Helen Jenkins and Leanda Cave. Their selections haven't been confirmed yet, but if all three go to Glasgow, they will be among the favourites to make the podium. They could be joined on the medal table later that day by another Welsh woman, cyclist Becky James, last year's double world champion. She won a silver and bronze medal in Delhi, and is hoping to do as well, if not better this time around. James is not the only cyclist worth looking out for in Glasgow - there are a number of promising youngsters on the track, like Elinor Barker, Amy Roberts, Jon Mould, Sam Harrison, Lewis Oliva and Owain Doull. On the road, Geraint Thomas, arguably Wales' most successful cyclist, is competing in his last Commonwealth Games, and faces a tough challenge to add to his two Olympic track medals. He's expected to compete in the Time Trial and Road Race, and is likely to go up against his Team Sky team-mate Sir Bradley Wiggins in the Time Trial, and up against the Isle of Man's Mark Cavendish in the Road Race. That longer race is likely to be Thomas' priority, on the final day of competition, Sunday 3 August. 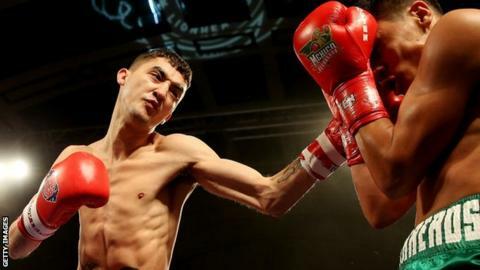 There was some good news for Team Wales in early April, when it was announced that two of their best gold medal hopes, boxers Andrew Selby and Fred Evans, would be free to compete in Glasgow - despite concerns that their contracts with AIBA, the Sports governing body, would not allow them to go to Scotland. Evans is the Olympic silver medallist, and Selby is the current world number 1, so it's fair to expect medals from both, not forgetting one of Wales' Gold medallists from Delhi, Sean McGoldrick, who is defending his title in Glasgow. Other boxers to look out for in the men's draw in Glasgow are British squad members Joe Cordina, Zack Davies, Ashley Williams. In the women's draw, World number 2, Lynsey Holdaway is targeting the podium. While it's possible to see four or five medals coming to the boxing team, it's hard to be confident of the same level of success at the Athletics Stadium, the marquee event of any multi-sport games. Dai Greene will be defending the 400 metres hurdles title he won in Delhi in 2010. But new world champion Jehue Gordon from Trinidad and Tobago will provide a big challenge, as will fellow Welshman, and current European champion, Rhys Williams. Wales' best chance for a medal is Aled Sion Davies, the Paralympic discus champion, and world record holder, competing in his first Commonwealth Games. Christian Malcolm, who competed in his first game in Kuala Lumpur in 1998, is likely to be competing for the last time in a Wales vest in Glasgow. He won a bronze medal in the 200m in Delhi, but this year he has the added problem of running against Usain Bolt, who has picked the 200 as his event of the Games. Swimming was one of the big disappointments for Team GB at the London Olympics, and one of the toughest sports in which to predict medals. Jazz Carlin, Jemma Lowe and Georgia Davies are all among the best in the World in their events, so should go close. Marco Loughran is Wales' best chance on the men's side, in the backstroke events, while Ieuan Lloyd has an outside chance. There's more than an outside chance too on the bowling green. Robert Weale, who has won two Commonwealth gold medals, in 1986, and then 24 years later in Delhi, competes in two events in Scotland, as does Anwen Butten, a bronze medallist in the Pairs in Manchester in 2002, and again in Delhi eight years later. Frankie Jones, who won gymnastics silver in Delhi, is another to look out for, as are the Wales Rugby Sevens team. Wales may be sending their biggest team to Glasgow, but they'll also be competing at the biggest Commonwealth Games, with 6500 athletes across 17 sports. You get the impression that a lot will depend on the boxing team, and whether Becky James and the women triathletes can get them off to a good start.